In my ongoing semester, I have a subject named “Ecosystem and Sustainable development.” Back in January when the course started, one of the first topics that were covered in one of the lectures was about, “Maslow’s Hierarchy of Needs.” And, I read everything in the slide almost an hour before the examination and vomited all I knew on the answer sheet. The examination went fine and I scored a decent 14.5 of 20. It was not a great score, but given my minimal preparation, I had every reason to smile. And once I was done with the exam, I forgot it all and was back to sleeping, eating, reading and writing. The blithesome and care-free attitude was back driving my head. What Maslow preached in his theory became a piece of history to me which took no time to efface off my grey matter. Then days turned into weeks and then over a month passed by until yesterday. I was reading sundry posts on Quora when I came across a post by Honourable Member of the Lower House of Indian Parliament, Shri Gajendra Singh Shekhawat. 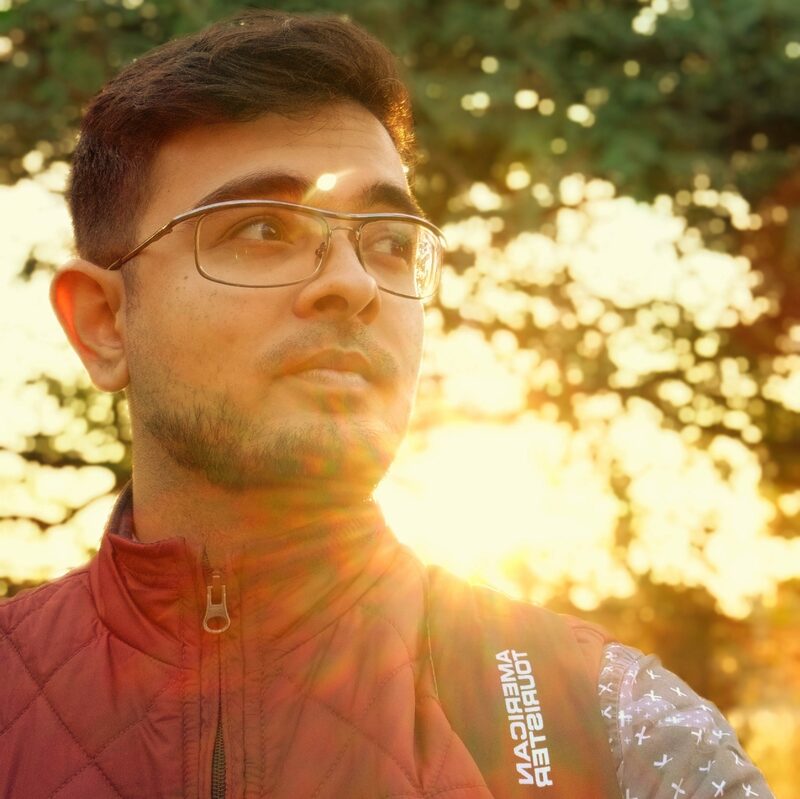 In that post, he wrote about the relation between Maslow’s theory and the changes that are going to arise in the Indian Politics in the next twenty years or so. The post got my thinking machine running. I began to ruminate over some of the pertaining subjects and researching briskly over them on the Internet. Since, the thoughts shared below are based on the observations of a person with a nebulous and vague understanding of these subjects (Me), I request the earnest readers to share their views in case they have anything to append to the thoughts enumerated or correct me if they feel I was incorrect anywhere. At once other (and “higher”) needs emerge and these, rather than physiological hunger, dominate the organism. And when these, in turn, are satisfied, again new (and still “higher”) needs emerge and so on. This is what we mean by saying that the basic human needs are organized into a hierarchy of relative prepotency’. Those words were posited by Maslow when he first proposed his theory pertaining to Hierarchy of Needs. This hierarchy consisted of five levels organized in the fashion of a pyramid with the level at the bottom representing the most basic needs, moving up to needs that crop up as the lower levels of needs are fulfilled. In the image attached we can easily observe that the bottom two levels represent the Psychological and Safety needs- The Psychological needs comprise of subjects like water, shelter, air, food and warmth et cetera. And, the Safety needs comprise of subjects like security, law and order, education and freedom from any restrictions et cetera. 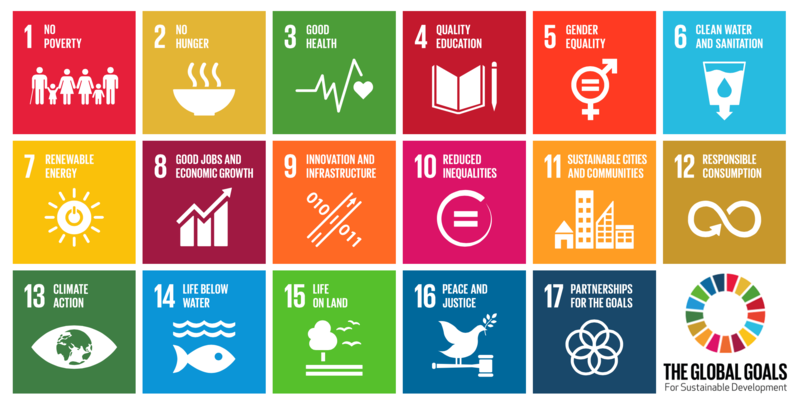 Now, on a slightly unrelated subject let’s talk a bit about the Sustainable Development Goals charted out by the United Nations Organization, which has listed down seventeen Global Goals and 169 targets in Toto under those sundry goals to be achieved by 2030. When we look closely at those goals there is something very intriguing about them. The seventeen goals basically talk of decimating the evils of poverty, hunger, lack of medical care and providing healthy environment and much more. These goals further include subjects of providing safe water, sanitation and clean energy which would indirectly boost the prospects for goals aiming at better health of the citizenry and a better environment to live in. These goals and targets talk about providing one and all with opportunities, employment and decent work environment in a growing and sustainable economy. This would result in security for all, freedom, employment, better quality of lives and much more such boons. And, now on closely relating these goals with the basic needs as discussed by Maslow, one very stark serendipity arises. The SDGs charted out by the United Nations to be realized by the deadline of 2030 by the Governments and citizenry all over the world are actually pushing the nations to ensure that the basic needs of people in accordance with Maslow’s hierarchy are fulfilled. Having concluded all of that, now I would like to narrow down from talking about the entire globe to talking about my home country- India. Let’s say that given its current growth and booming economy, India harbingers a really bright future and even achieves most of the SDGs to an appreciable of absolute extent by 2030. 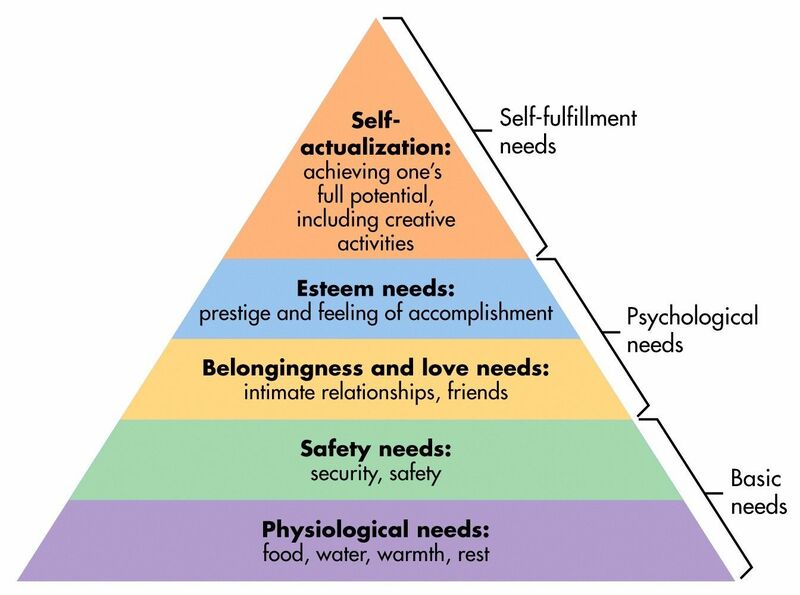 That would mean the basic needs of the Indians would somewhat be fulfilled by then and they would now aim for higher needs in the Maslow’s Hierarchy pyramid. The picture of majority Indians would then look something like this- Most of us would be educated to a significant degree. We would have a safe and sustainable economy where a significant chunk of the populace would have quality earning opportunities. Every individual will be covered and protected under the court of law and this would be supported by quality security systems, solutions and organizations ensuring a poised environment for the citizenry. And, such strides would overall create a new and better India. But new and better how? Basically, the point that I wish to draw one’s attention to is the following- As of today, there is incessant discrimination existing in India. A lot of things have changed in the socio-economic landscape but a lot still bugs the nation from evolving faster. And, sadly this discrimination is what has been running the National Politics for a long time now. However, with a number of SDGs being achieved by the year 2030, or maybe a few extra years, several factors that lead to discrimination based on caste, creed, colour, and especially region and religion is going to efface. And, that is something which I believe can change the way politics in this nation functions as of the present. In fact, the recently culminated elections in the Indian state of Uttar Pradesh is already showing a change of a similar sort. For decades the people in this nation have been classified as vote banks by sundry political parties based on religious and caste-based lines. And, the regional stalwarts like Bahujan Samaj Party and the Samajwadi party in Uttar Pradesh have been known to champion that kind of politics for a long time now. And, being exasperated by the dividing and discriminatory politics, the people of Uttar Pradesh for the first time voted on the agenda that was different from caste. This time they went to vote with the intention of electing the representatives who could help them fulfil those basic needs that the Maslow talked about in his theory and the SDGs aim to fulfil. And, what happened next is the hot topic of tea talks all over the Indian nation as of this moment. And, as the Indian citizenry and Government inch closer towards achieving more and more of those Global Goals and targets set by the United Nations, the politics based on factors like caste and religion is only going to witness further rejection by the Indian population. And, with that, a new governing factor shall rise which has already begun to realize in several progressive and leading states and cities of India. This factor is Class. When the basic needs as mentioned by Maslow, would be fulfilled, people would then aspire for higher forms of needs like- Achievements, status in society, dominance, prestige, self-respect and more. A new agenda shall then rise for politics which would then eventually change the governing factor from caste to class. With every individual having access to quality education, employment, a sustainable economy and safe environment, the importance people accord to one’s caste in the society would only deplete, and the importance of one’s class would at the same time increment. This class would be determined by various parameters like society a person lives in, the amount he/she has in his/her bank account and the social clout one possesses et cetera. Which system of politics is better? Everyone may have a different set of opinion on that. I support the class based system. Others may be inclined the other way. But, something that history teaches us is that a change in the society can be judged only after it has been in existence for long enough. So, probably the correct judgment about Class based or caste based politics being better than the other would arrive much after we would all be dead. But, whatever happens, may peace prevail. May the legitimate and sustainable aspirations and needs of the people be actualized with gradual time. I hope this post added something of significance to the reader’s ken and understanding of the changes in Indian Politics. What was written in the post was an observation on my own, and thus may be incorrect or flawed given I’m still just a College student and have a lot to learn in the coming future. But, I’ll be hoping that I didn’t waste your time by proffering something stupid.